Johannesburg - Sasol this week came under fire after its Inzalo BEE scheme failed to produce any tangible ownership value. This was especially true for ordinary black investors, because the company’s share price has hardly increased since the inception of the scheme in 2008. Now, debt taken out to cover the shares bought on behalf of black investors is unlikely to be paid off. This lack of share price growth exposed Sasol to criticism for the way it does business. A silver lining was that all groups included in the venture received dividends of varying sizes. Inzalo’s biggest winners were the banks that provided billions in debt and received R5.1 billion in payments. Advisers and lawyers to the scheme are set to score from part of the R1 billion needed to wind it up. In 2008, R175 million was paid to bankers, lawyers, auditors and others involved in the deal. Black Management Forum (BMF) managing director Busi Mavuso this week said: “We mentioned previously that the structure of these schemes must change ... because, after a decade, you still don’t get what you expected. It can’t be right. Sasol Inzalo’s dividend payout to the BMF was R400 000. The BMF paid more than R5 million in 2008 and had a further R70 million financed to acquire 204 918 shares at R366 each. A number of organisations that bought into the scheme opted for similarly structured deals. Sasol also unveiled a new BEE scheme, Sasol Khanyisa, which drew criticism for its complex and hard to understand structure, as well as the fact that shareholders would face further loss of value. To provide Khanyisa participants with value, Sasol is handing out R1.9 billion in free shares to its employees and R1 billion in free shares to ordinary black investors. Khanyisa will cost Sasol shareholders R7.3 billion via a share-based payment expense. However, Khanyisa shares will most likely trade at a discount to the Sasol shares because the former can only be owned by black South African investors. Sasol Inzalo shares were this week quoted at R333, a 12% discount to the Sasol share price of R378. Instead of being based on Sasol’s share price, the new deal would be based on the company’s local assets. The debt from the deal would be funded by Sasol on favourable terms, instead of using bank debt, he added. Karin Richards, a chartered accountant who is based in Cape Town and owns shares in Sasol, said the new Khanyisa deal and the settlement of Inzalo were “hugely complicated”. 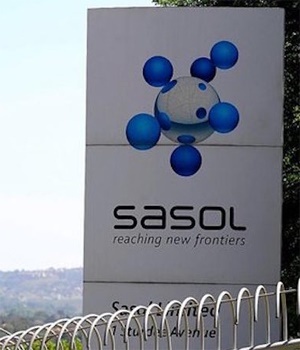 Richards believes that the liability Sasol faced for the close out of the Inzalo deal should, for the purposes of fairness, have been disclosed in Sasol’s last set of financial results, which were released last month. She said Sasol hadn’t done its ordinary shareholders justice in its announcement this week. This was so especially when it came to reconciling the impact on the different types of earnings the company reported, as well as the impact on the company’s earnings for its 2019 and 2020 financial years. At the end of June last year, Sasol Inzalo Public had liabilities of almost R7.4 billion and assets of R6.4 billion, which means it was technically insolvent. Piet Viljoen, the chair of asset manager RECM, said Sasol’s share price had moved sideways for close to 10 years due to poor capital allocation. Sasol’s major cash generator was its synthetic fuels business in South Africa. Viljoen said the group should have invested the cash flows from that business over the past 10 years into buying back shares. If it had, the Sasol share price would be much higher than it is. Sasol’s Victor said Viljoen’s comments were “very broad brush strokes” because, in 2008, the US dollar oil price had been at more than $100 a barrel. It peaked at $140 a barrel. This week, that price was in the region of $50 (R660) a barrel. The suggestion that Sasol should have spent the past decade buying back its shares didn’t make sense. Buybacks would cause Sasol’s share price to spike and then the company would be buying back its shares at a premium. Regarding Sasol’s return on capital, Victor said Viljoen could have a point. Sasol recently spent R15 billion to increase fuel output at its Secunda synthetic fuels business. This project would achieve a return on investment of 21%. Sasol’s Qatar venture achieved a US dollar return on investment of 14%, compared with an 8% cost of capital. However, at Sasol’s $11 billion Lake Charles chemicals project in Louisiana in the US, the return of the venture was expected to match its cost of capital for almost no return for Sasol’s shareholders. The end of the Inzalo scheme will result in Sasol’s shareholders next year needing to cough up at least R13 billion via a rights issue, to pay off debt and close out costs. News of the impending losses for Sasol shareholders and the rights issue caused the group to lose as much as R18 billion in market value this week. The implementation of the Khanyisa scheme was expected to knock Sasol’s profits by up to 20% for the year ended June 2018, according the company. Mbongiseni Mbatha? @Mbatha10: Commented that Sasol’s Inzalo transaction had been a waste and he had been involved in the scheme for almost 10 years. What do you think about the Sasol Inzalo debacle? Would you invest in Sasol Khanyisa if you qualified to participate in the scheme? The dividend payout in 2014 was R400 000 from Sasol Inzalo. BMF paid over R5 million in 2008 and had a further R70 million financed to acquire 204 918 shares at R366 each and a number of organisations who bought into the scheme opted for similar structured deals. Sasol also unveiled a new BEE scheme, Sasol Khanyisa, that drew criticism for its complex and difficult to understand structure as well as the fact that Sasol shareholders would also face further loss of value. To provide Khanyisa scheme participants with guaranteed value, Sasol is handing out a R1.9 billion in free shares to its employees and R1 billlion in free shares to ordinary black investors. Khanyisa will cost Sasol shareholders R7.3 billion via a share based payment expense. However, Sasol Khanyisa shares are likely to trade at a discount to a the Sasol shares as Sasol Khanyisa shares can only be owned by black South African investors. Sasol Inzalo shares were this week quoted at a R333, a 12% discount to the Sasol share price of R378. “By issuing more Sasol BEE shares this will introduce more liquidity into the shares. There could be a discount but it won’t be as significant as current level of [Inzalo] discount,” Sasol CFO Paul Victor said. Instead of being based on Sasol’s share price the new deal would be based on Sasol’s local assets, the debt from the deal would be funded by Sasol on favourable terms instead of using bank debt, he added. Richards was also of the view that the liability that Sasol faced related to the close out of the Inzalo deal should for the purposes of fairness have been disclosed in Sasol’s last set of financial results released last month. She said that Sasol hadn’t done its ordinary shareholders justice in its announcement this week, especially when it came to reconciling the impact on the different types of earnings the company reported on as well as the impact of the company’s earnings for its 2019 and 2020 financial years. At the end of June last year, Sasol Inzalo Public had liabilities of almost R7.4 billion and assets of R6.4 billion, which means that it was technically insolvent. Piet Viljoen, RECM chairman, said that Sasol’s share price had moved sideways for heading on 10 years due to poor capital allocation. Sasol’s major cash generator was its synthetic fuels business in South Africa and the group should have invested the cash flows from that business over the past 10 years into buying back shares then the Sasol share price would be much higher than today. Sasol’s Victor said that Viljoen’s comments were ‘very broad brush stroke’ as in 2008 the US dollar oil price had been at more than $100 a barrel, including peaking at $140 a barrel, but this week that price was in the region of $50 a barrel. The suggestion that Sasol should have spent the going on 10 years buying back its shares didn’t make sense as buy backs would cause Sasol’s share price to spike and then the company would be buying back its shares at a premium. project would achieved a return on investment of 21 percent. For Sasol’s Qatar venture had achieved a US dollar return on investment of 14% compared with an 8% cost of capital. However, at Sasol’s $11 billion US project Lake Charles in Louisiana the return of the venture was expected to match its cost of capital for almost no return for Sasol’s shareholders. The close out of the Inzalo scheme will also result Sasol’s shareholders next year needing to cough up at least R13 billion via a rights issue to pay off the debt related to the scheme’s debt and close out costs. Commented that Sasol’s Inzalo transaction had been a waste and he had been involved in the scheme for almost 10 years.